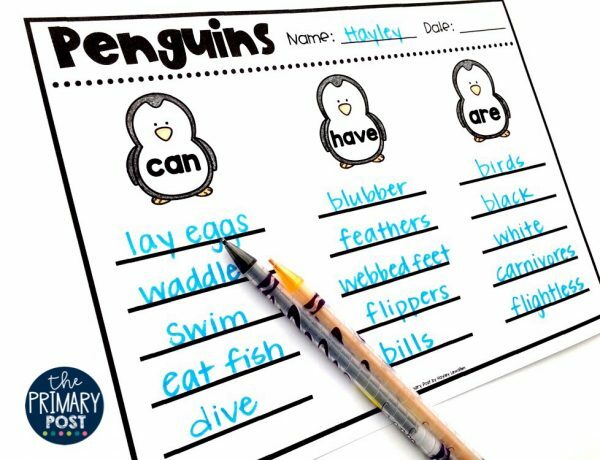 Penguins are one of my FAVORITE animals to teach about! 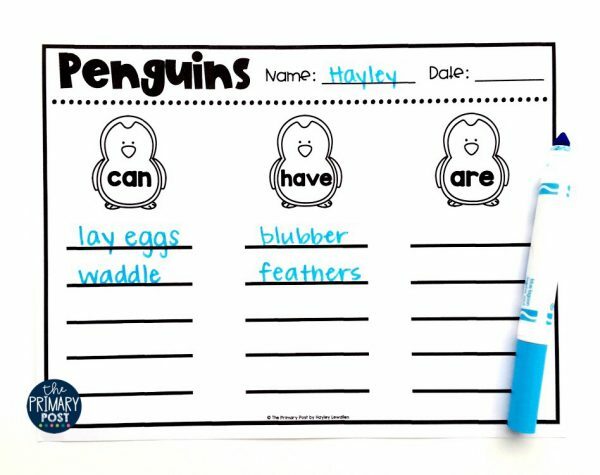 Kids love learning all about their blubber and the fact that they are birds that don’t fly. Fascinating stuff! 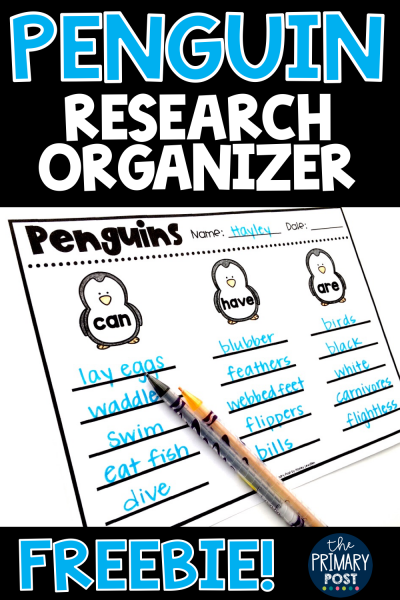 🙂 This Penguin Research FREEBIE is the perfect addition to your Penguin unit! 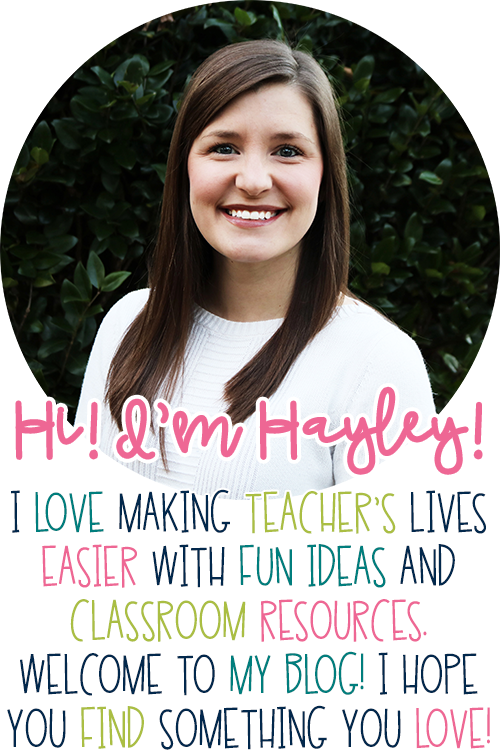 There are 3 categories on the graphic organizer: can, have, and are. I always talk about what these words mean before doing any research together so that they are fresh in the student’s minds while learning. When we do our research for non-fiction units, the National Geographic Kid’s books are my VERY favorite to use. You can grab the Penguin book at the link below! As we read, I like to use my document camera to model how to fill in the blanks while each student completes their own. Here are some ideas of things you might find while researching! These all make great topics of discussion. 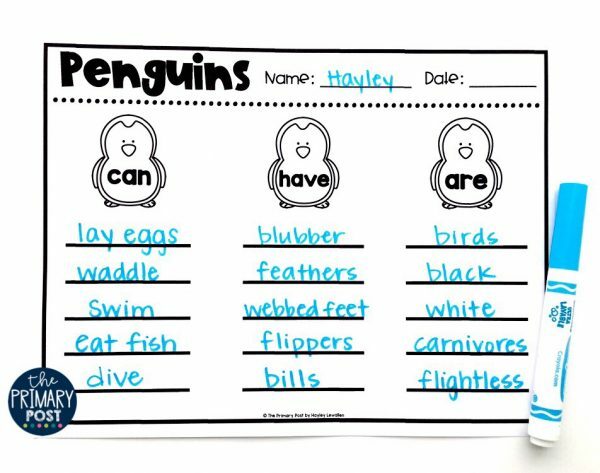 What is flightless? What is blubber? How do you waddle? Why are their feet webbed? Endless inquiry! 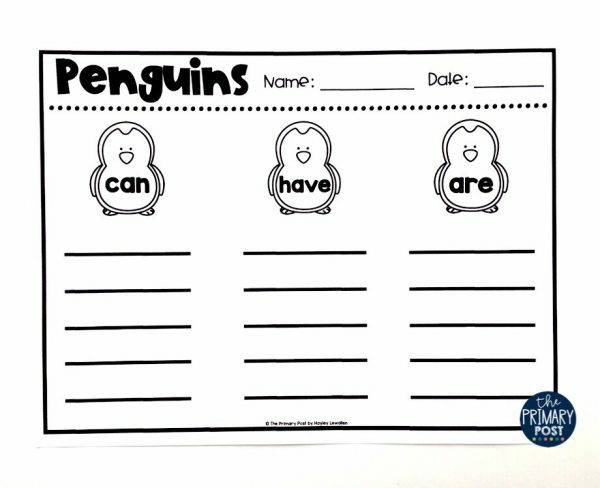 After completing the graphic organizer, students will love coloring in the cute penguins! Grab your free copy at the link below! 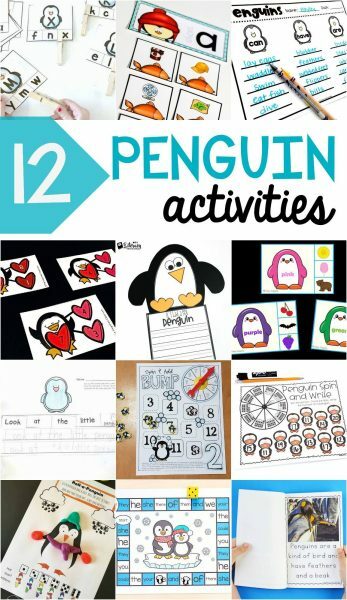 Check out these other awesome Penguin activities we gathered up for you! 🙂 Links are below.